Papaya - dried leaf There is 1 product. 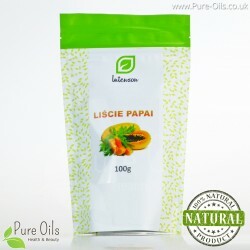 Papaya leaves is a source of vitamins C, E, A and B-group vitamins. In addition this product contains minerals such as: potassium, magnesium, zinc and iron.